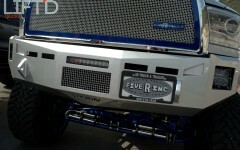 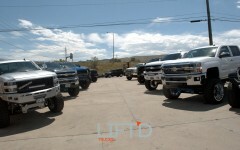 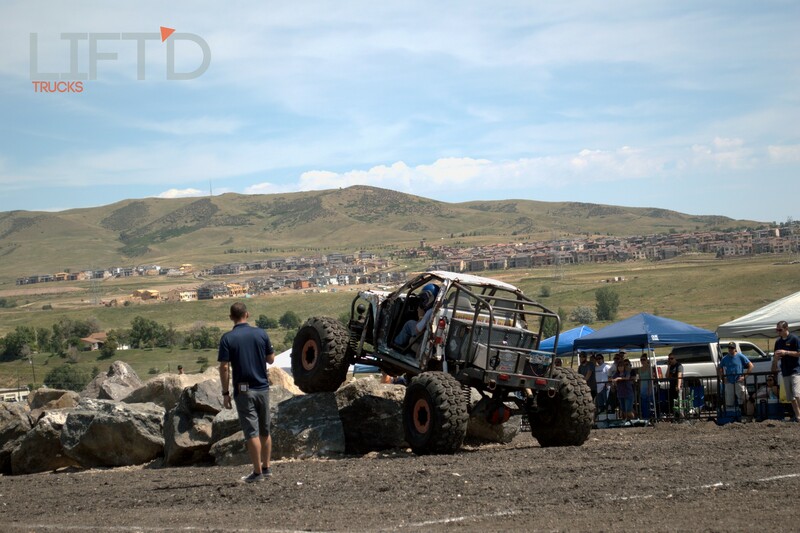 If you’re looking for an event with trucks, trucks and more trucks, then look no further than the Merritt Equipment Truck Fest Presented by Five-R Trucks in Colorado. 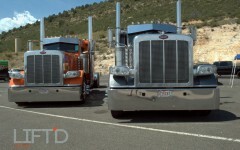 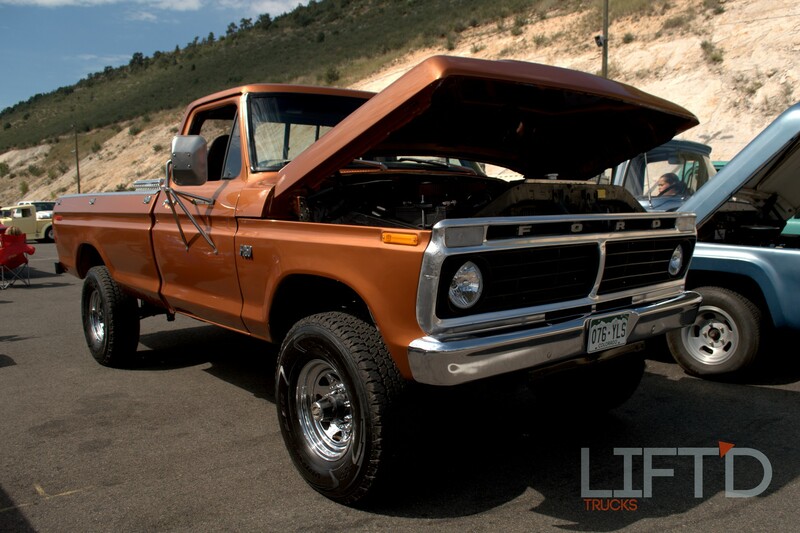 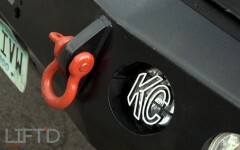 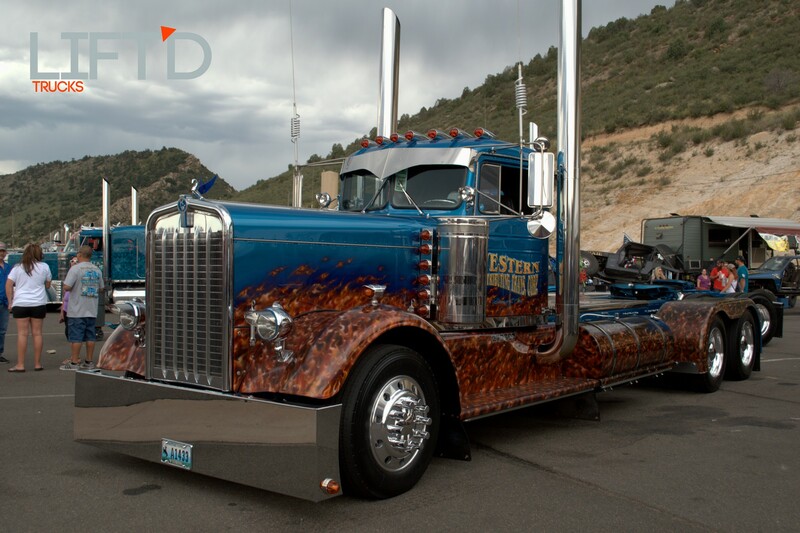 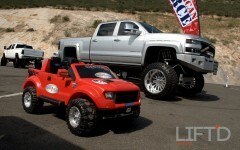 Not only is this event chalk full of just about every kind of truck you could think of, from classic to modern, minitruck to semi, it also showcases just how all-encompassing the truck world can be. 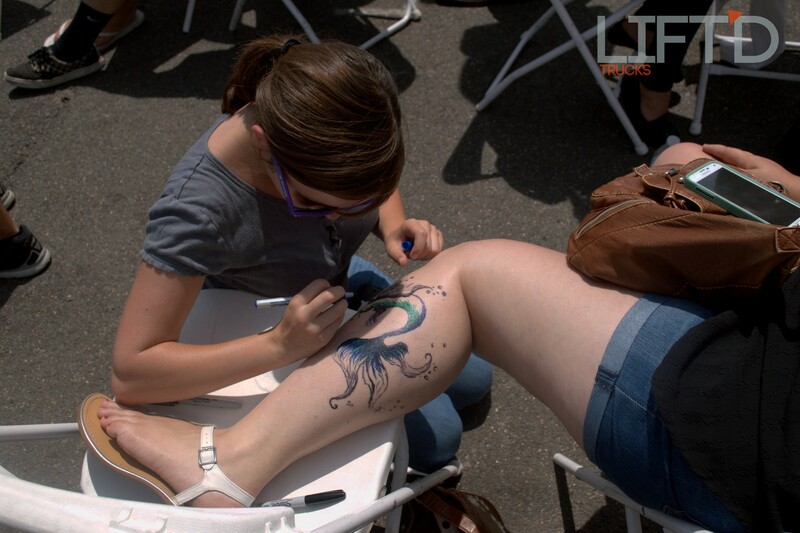 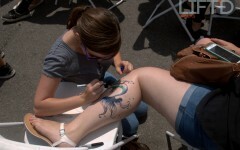 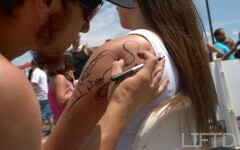 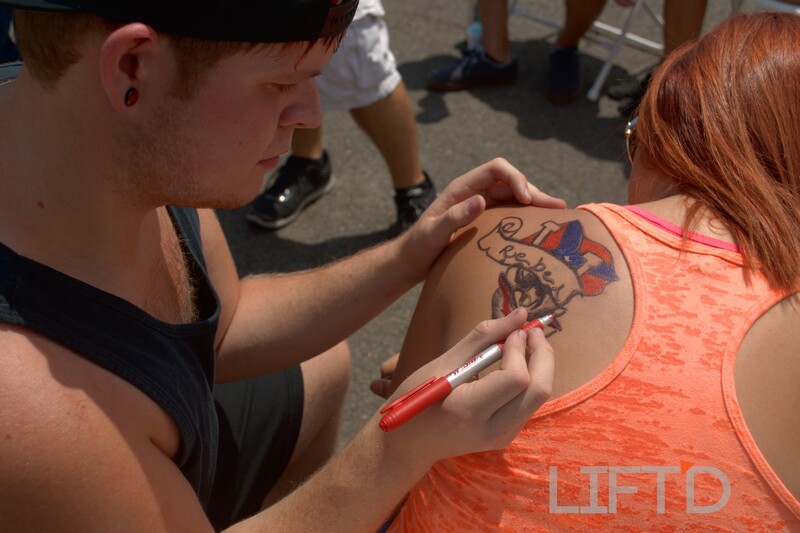 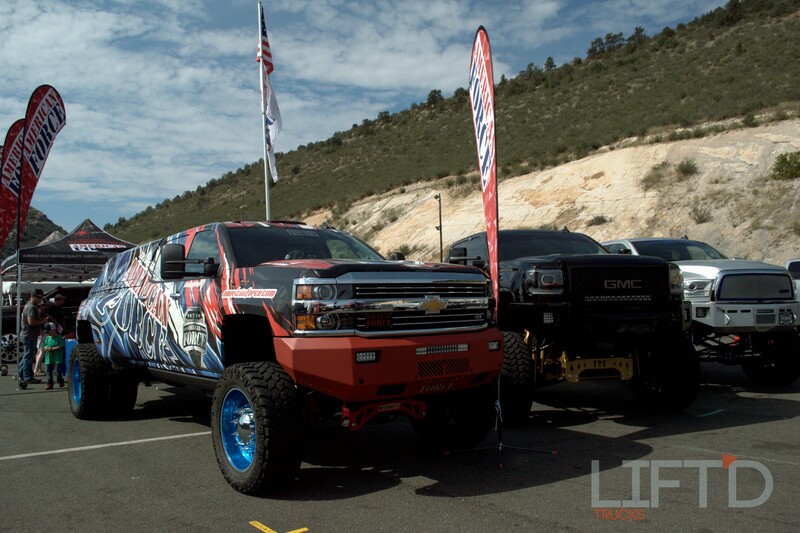 Check out some of the awesome happenings from this year’s Truck Fest below! 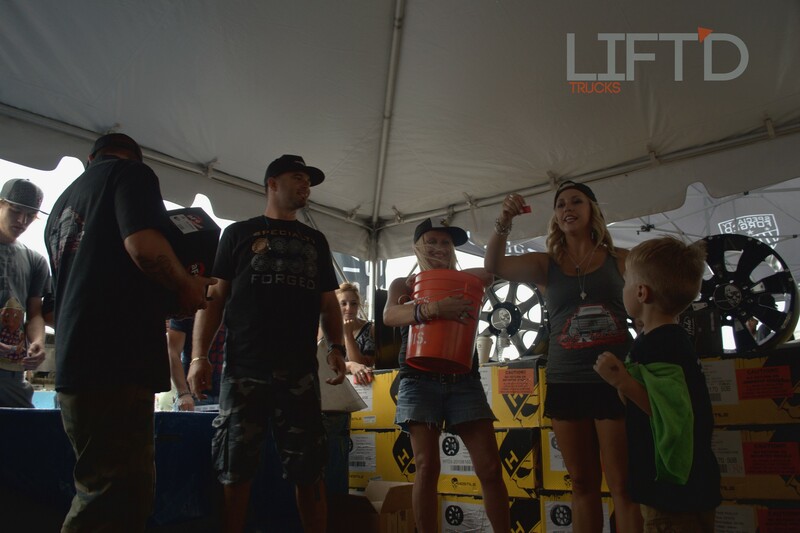 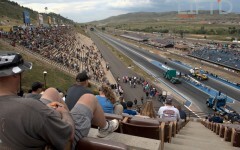 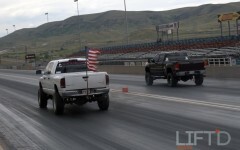 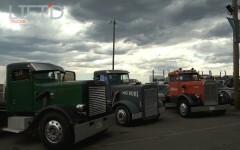 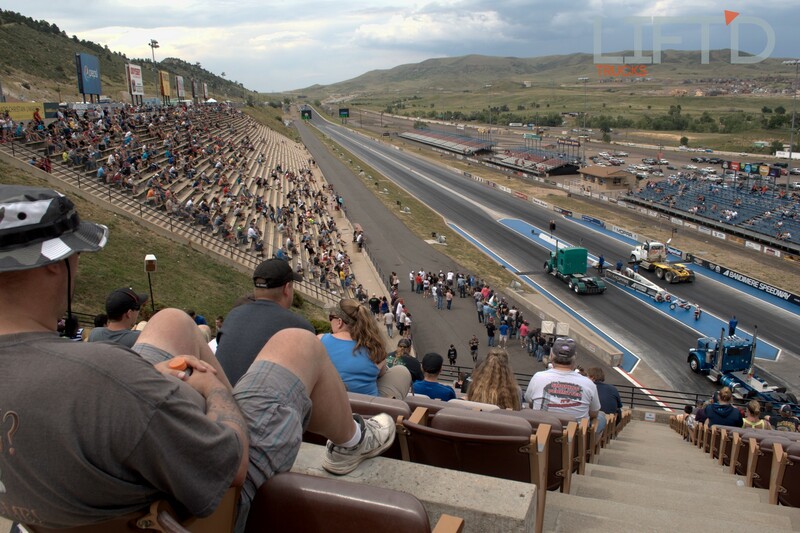 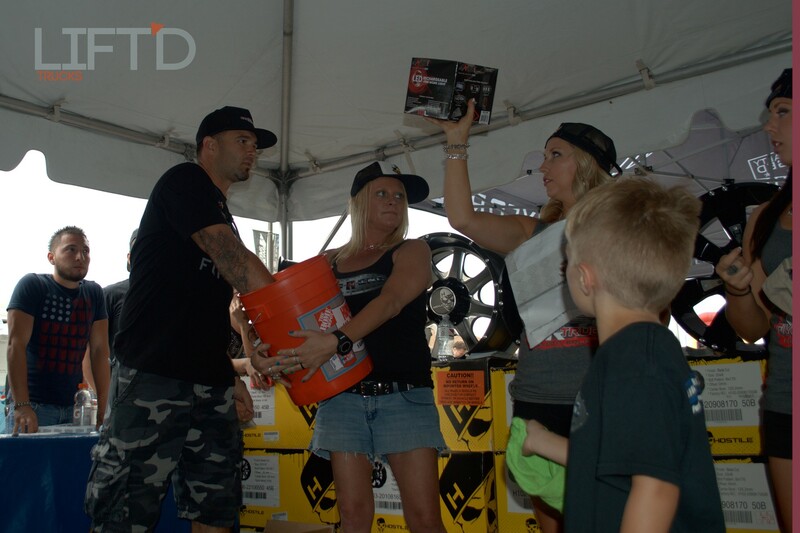 Held on August 2nd at Bandimere Speedway in Morrison, Colorado, the Merritt Equipment Truck Fest Presented by Five-R Trucks was the perfect cap to a truck-filled weekend. 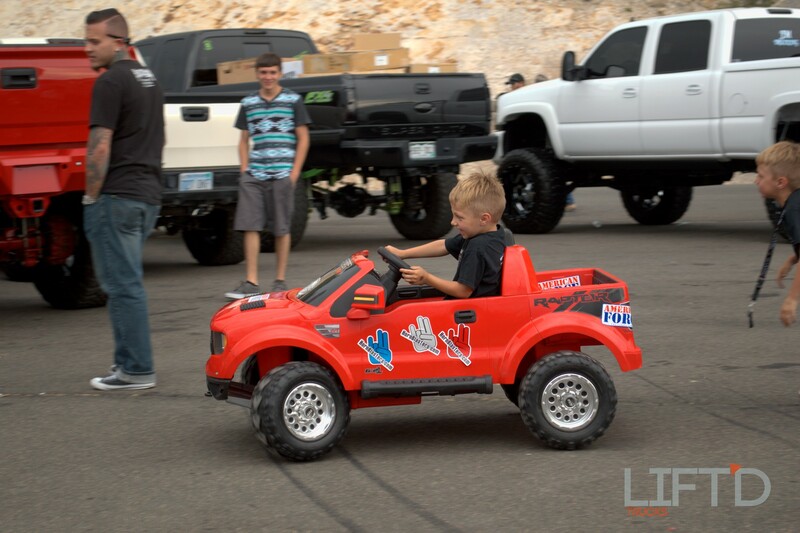 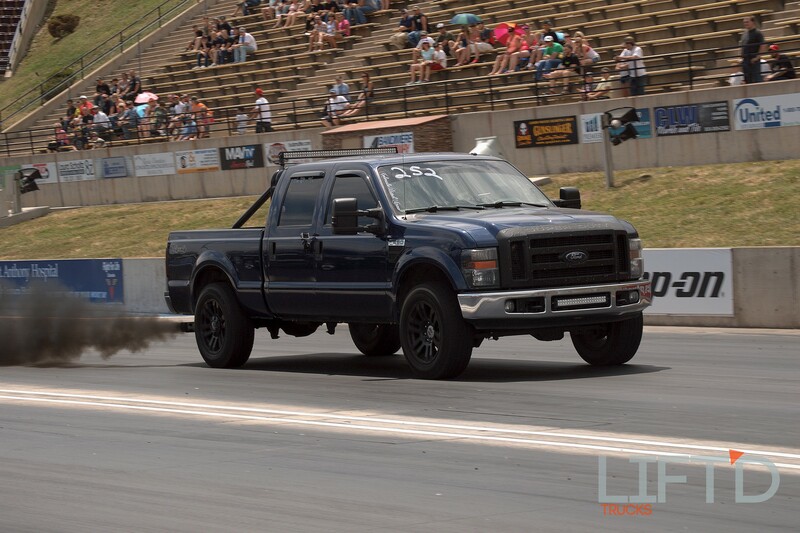 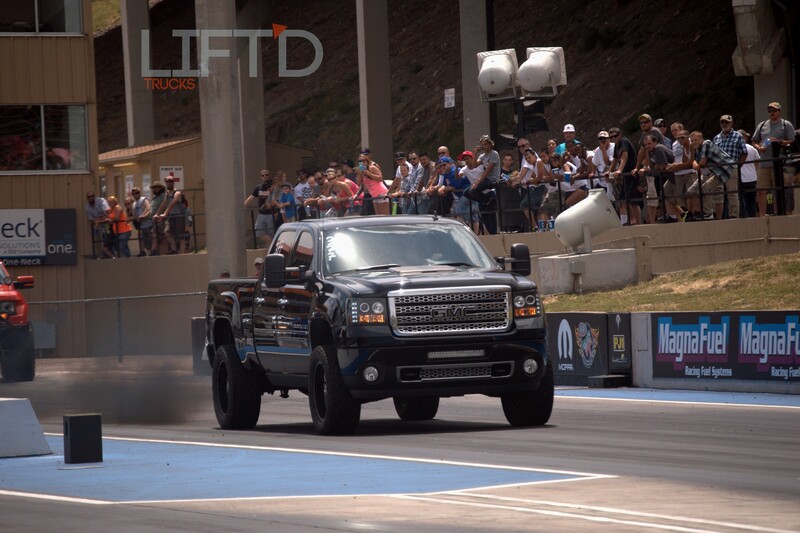 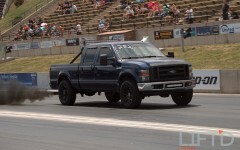 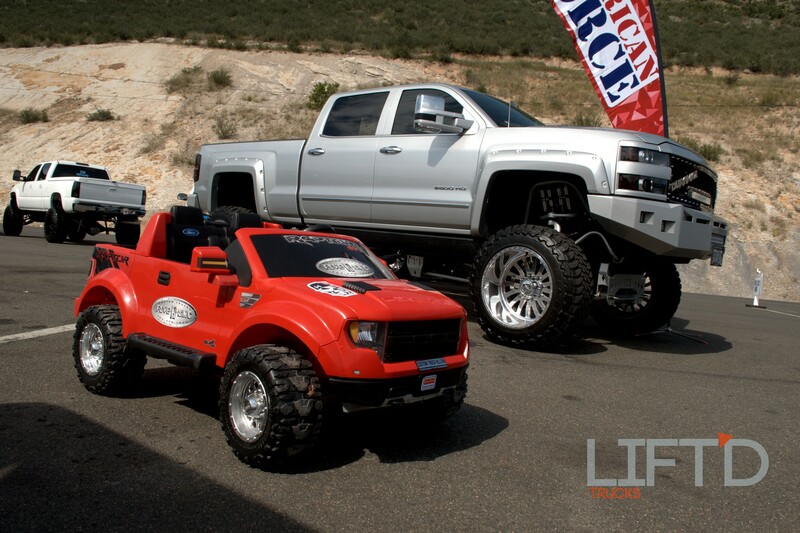 Marketed as the biggest all-truck event in the area, Truck Fest offers something for everyone, with over 25 show classes, six drag racing classes, a rock crawl competition, vendor midway and special kids area. 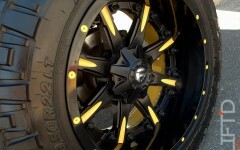 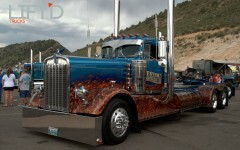 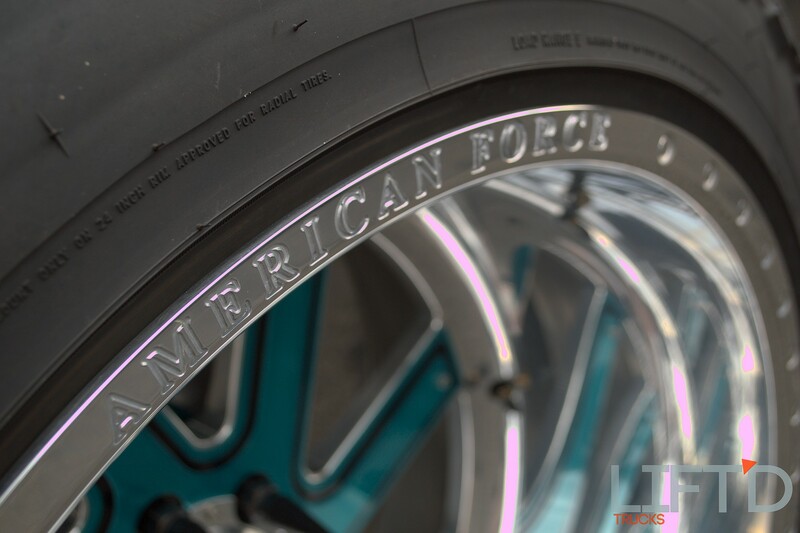 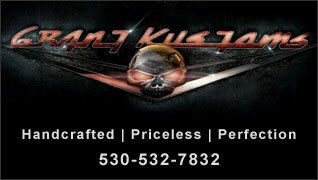 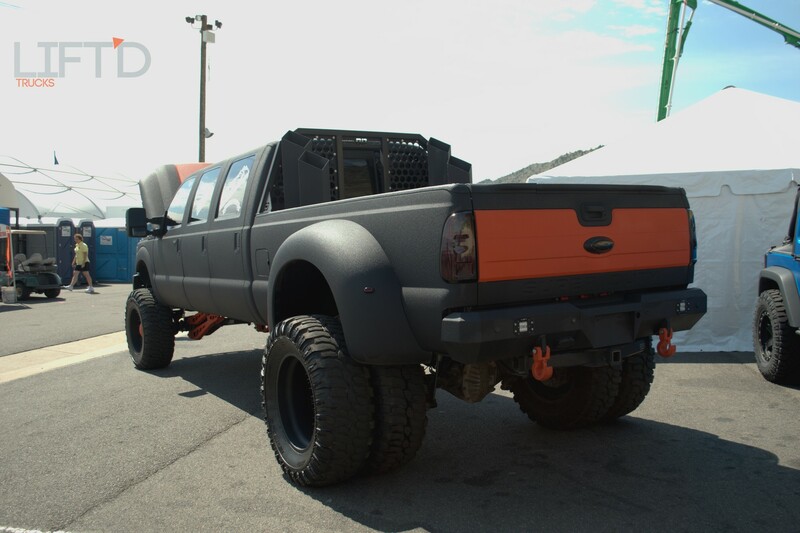 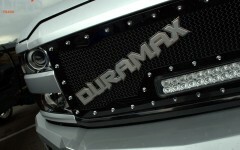 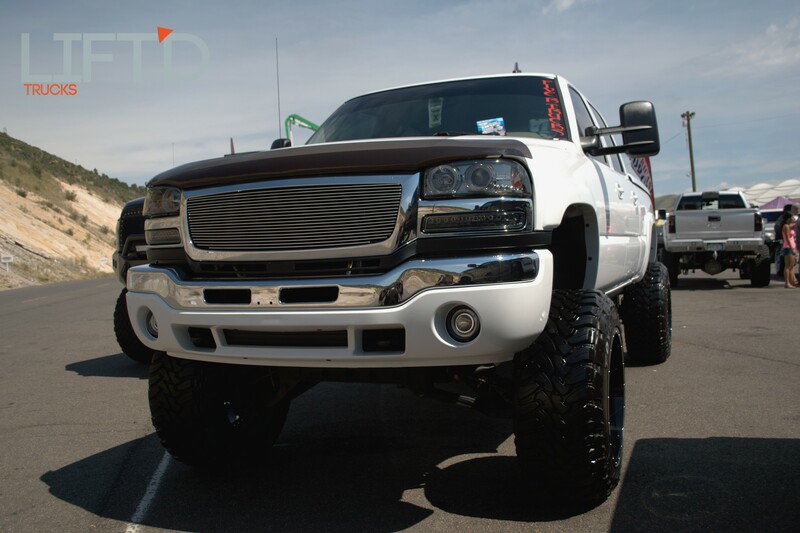 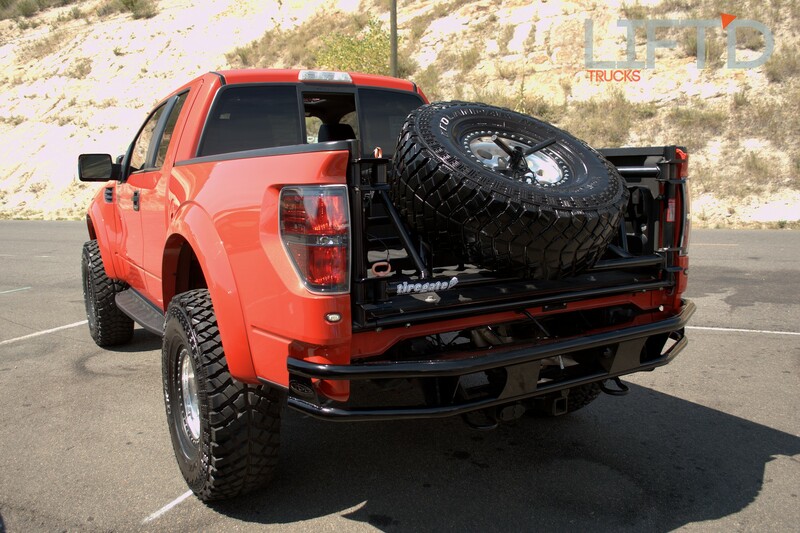 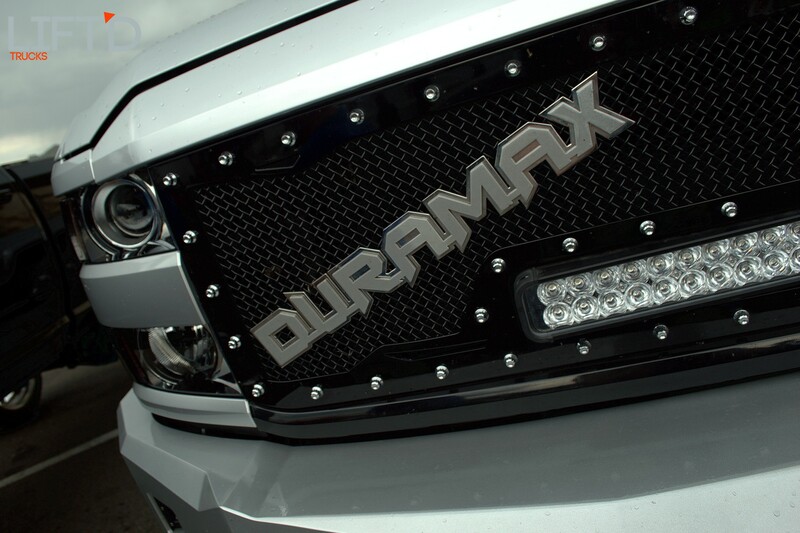 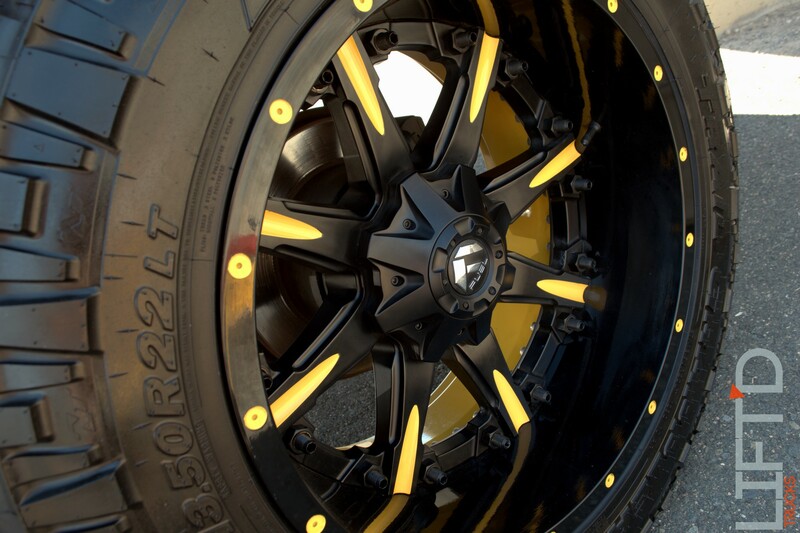 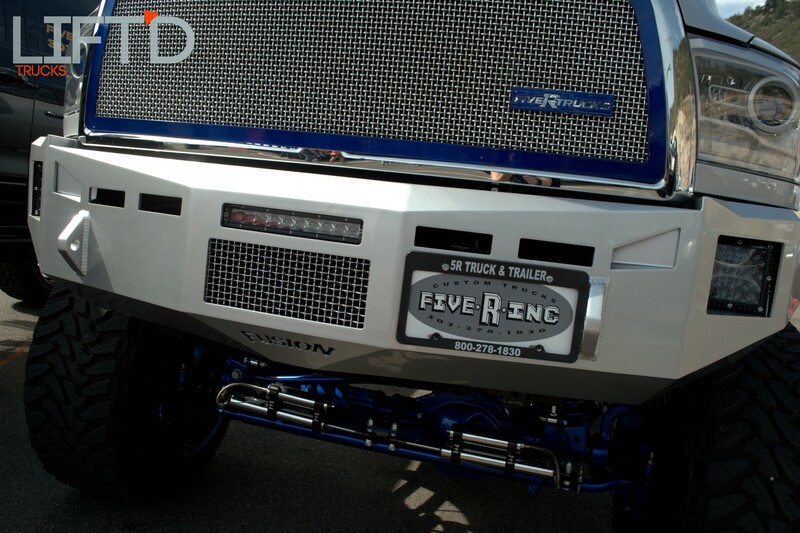 Whether you’re into fully-built semi-trucks, full-size turbo-charged diesel trucks that drag race, or pristine SEMA Show-quality builds, there’s no lack of things to see! 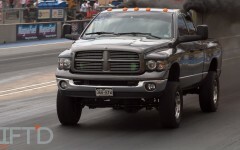 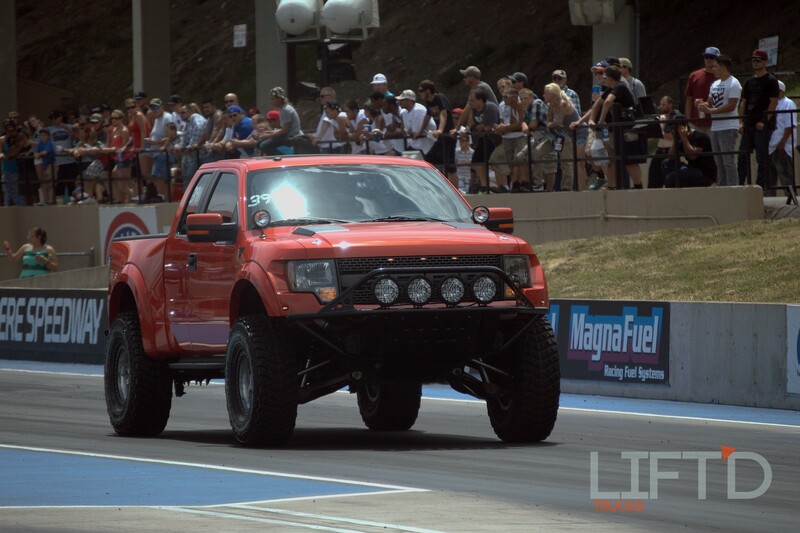 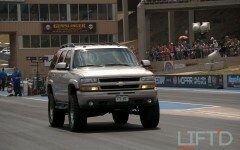 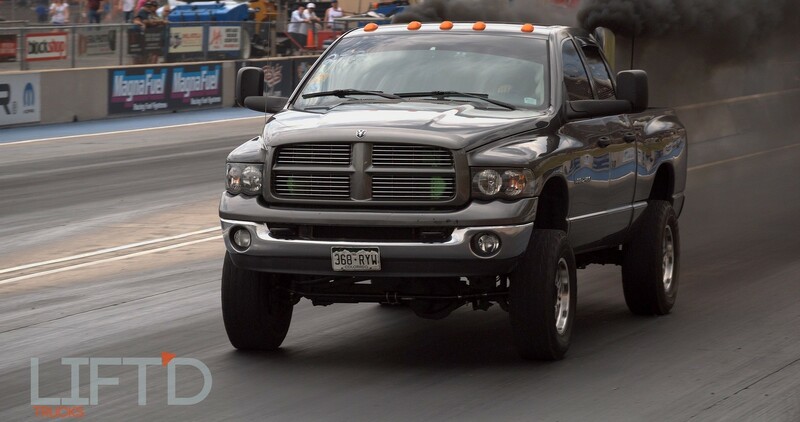 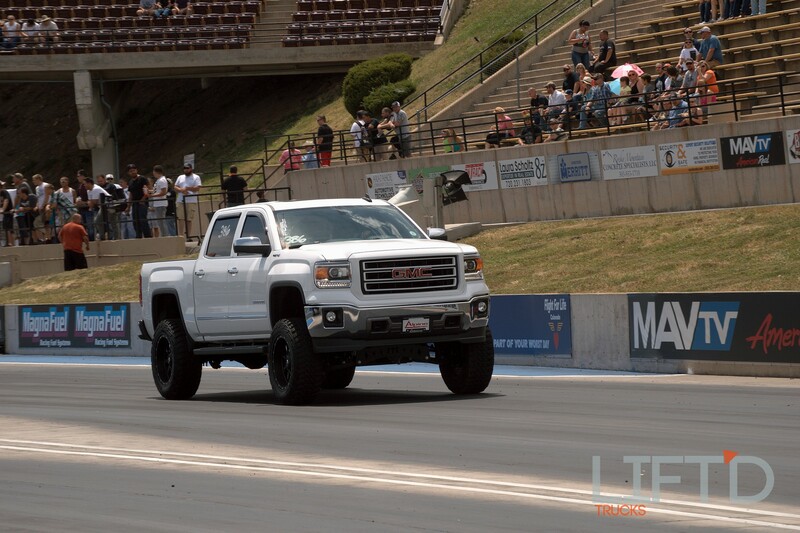 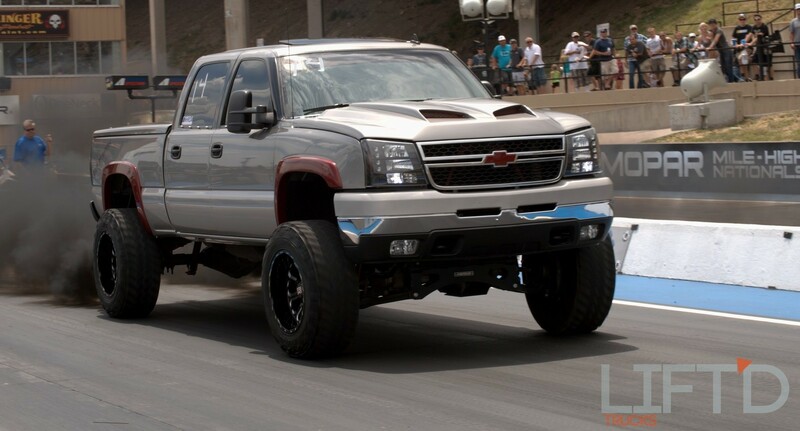 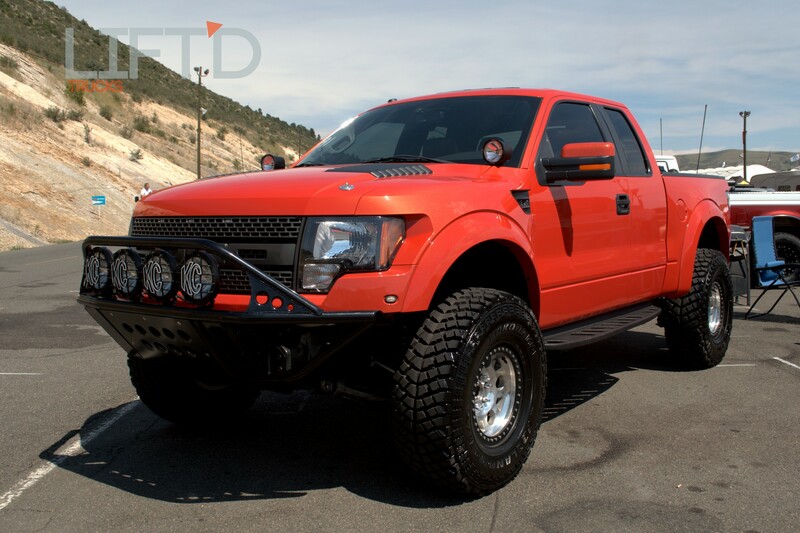 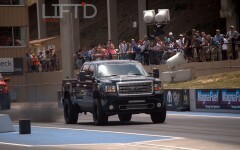 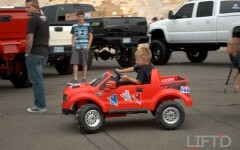 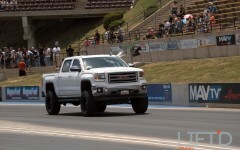 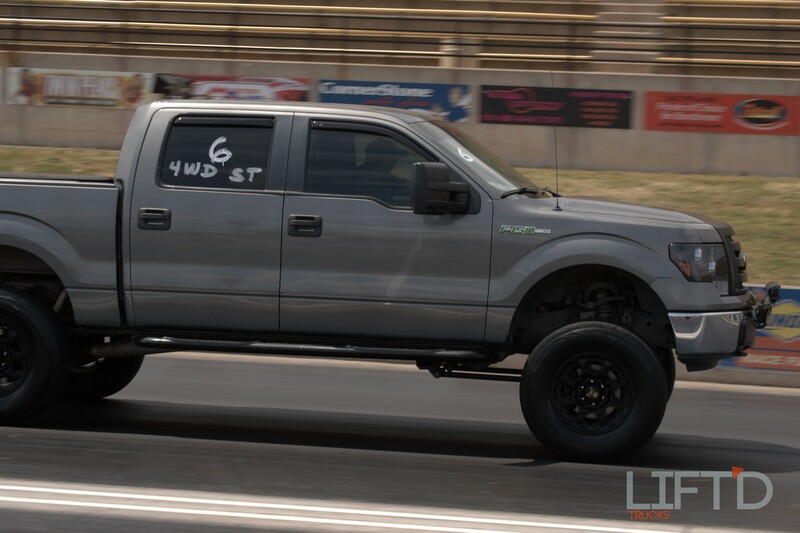 Having never attended Truck Fest before, we were impressed by the shear number of trucks packed into the parking lots, upper lot and pits of the speedway, and even more surprised by just how many of these amazing vehicles were hitting the strip to throw down quarter-mile times at over a mile above sea level. 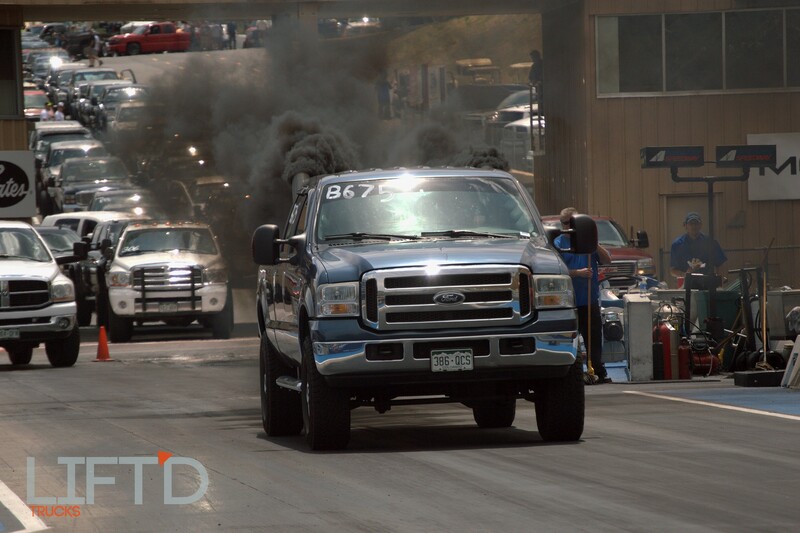 If you’ve never seen a full-size diesel pull an 11-second ET in the quarter, two semi-trucks thrash it out side by side at full speed, or your area Interstate Battery trucks compete for the best track times, then this is where you can see them all in one place! 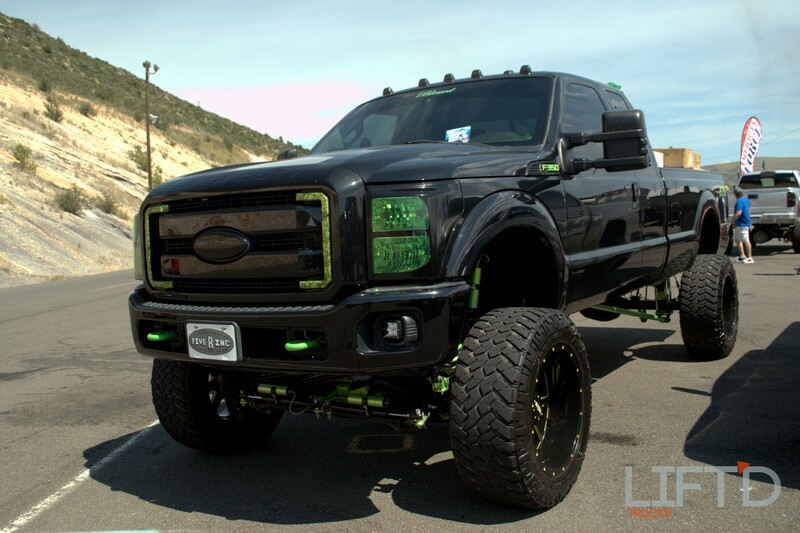 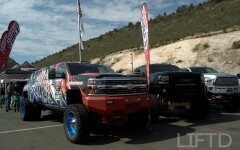 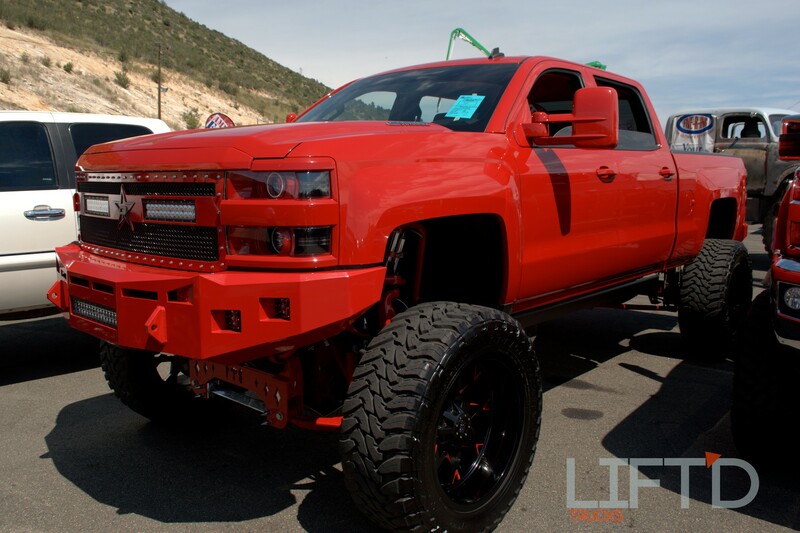 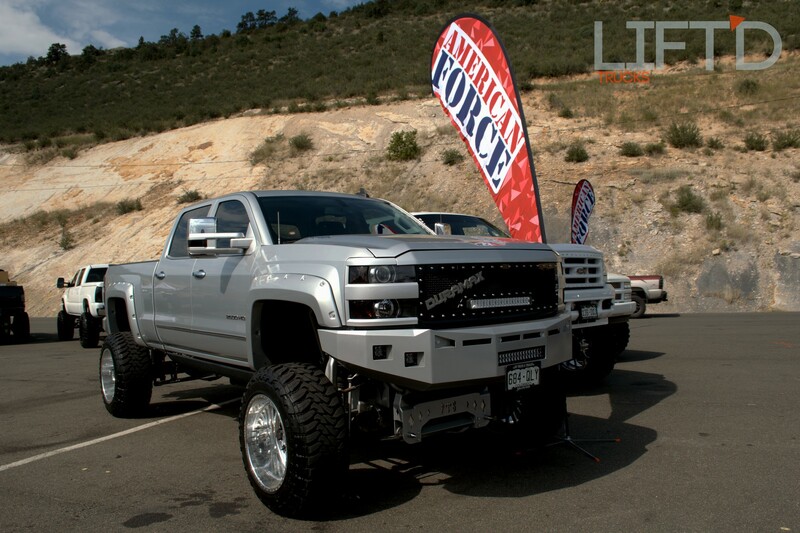 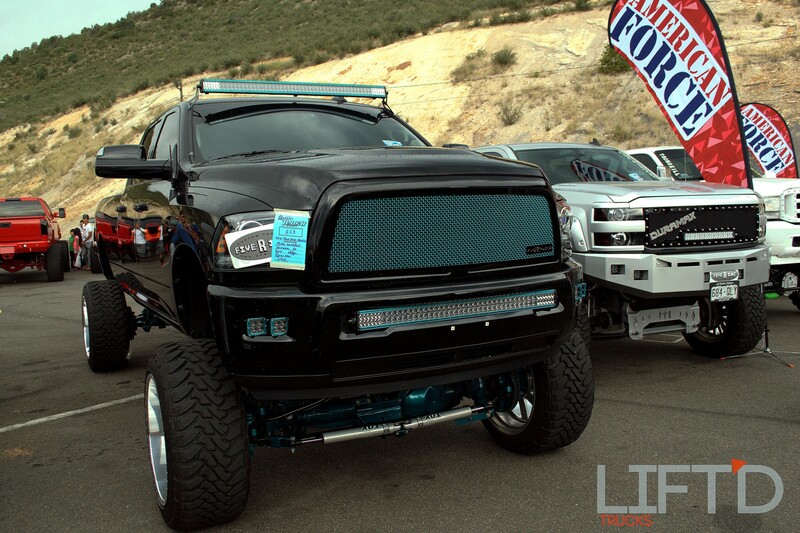 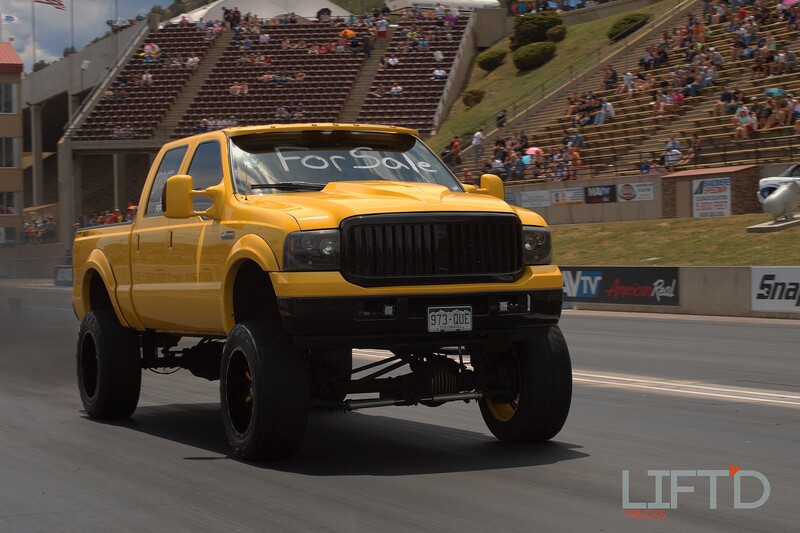 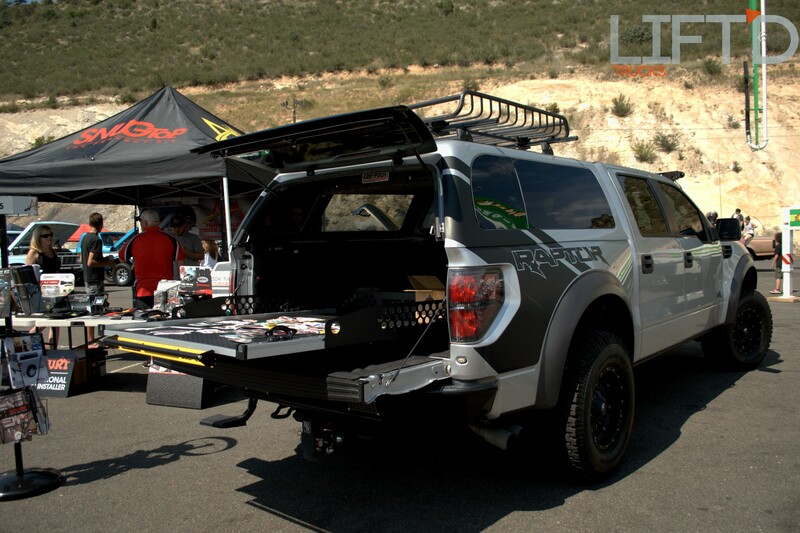 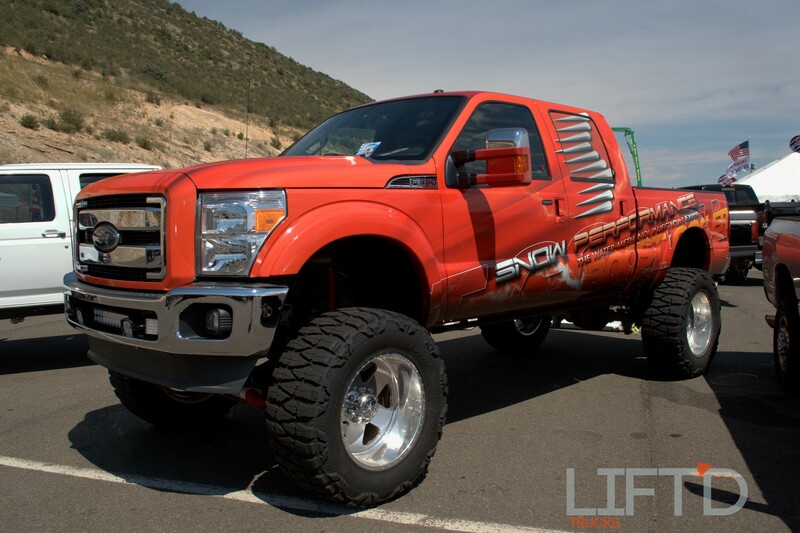 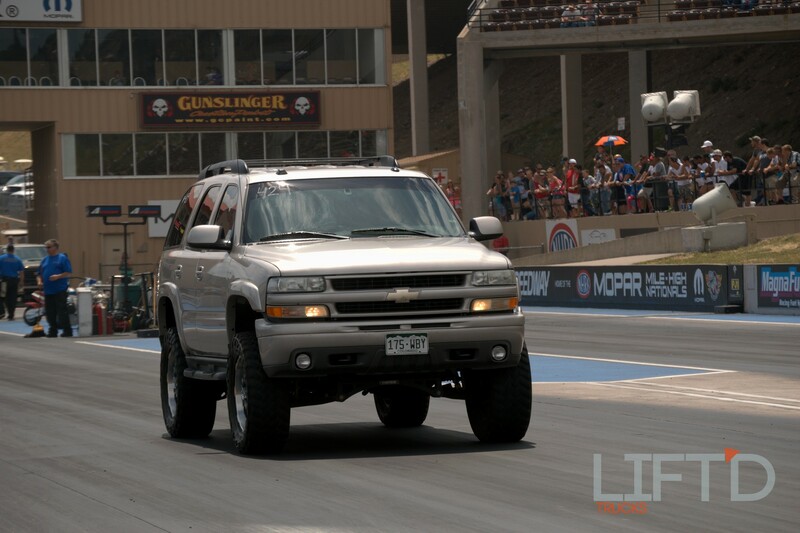 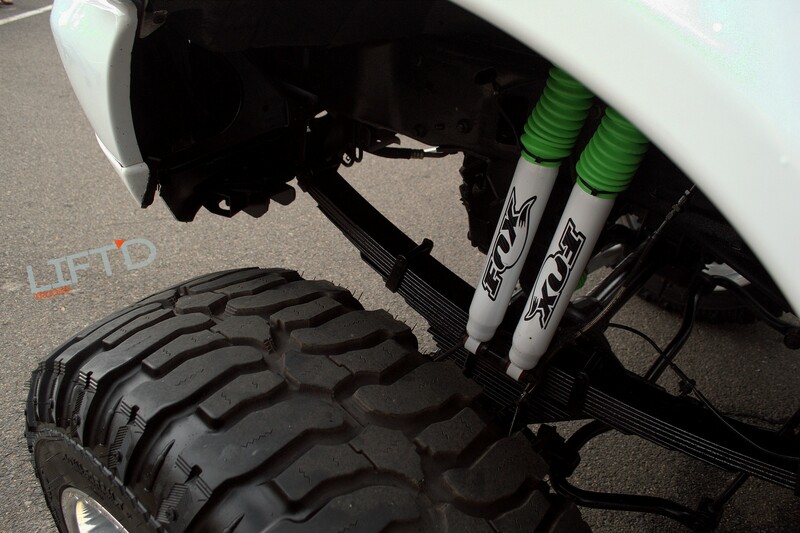 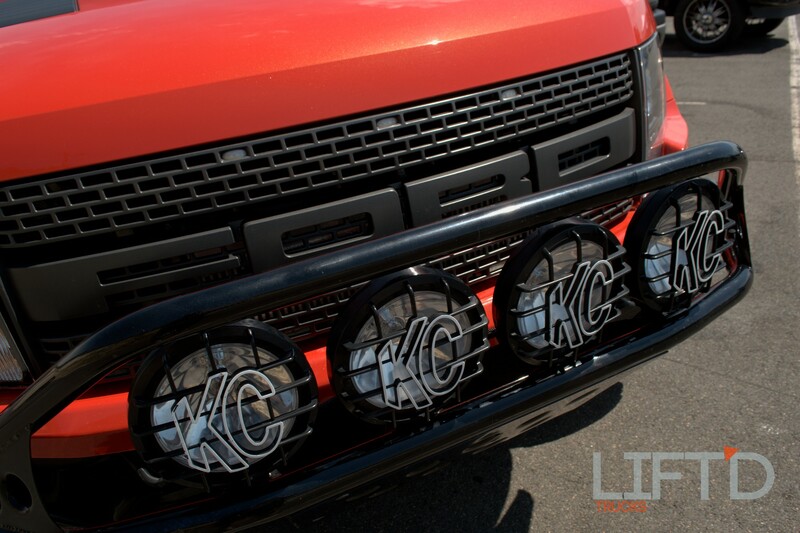 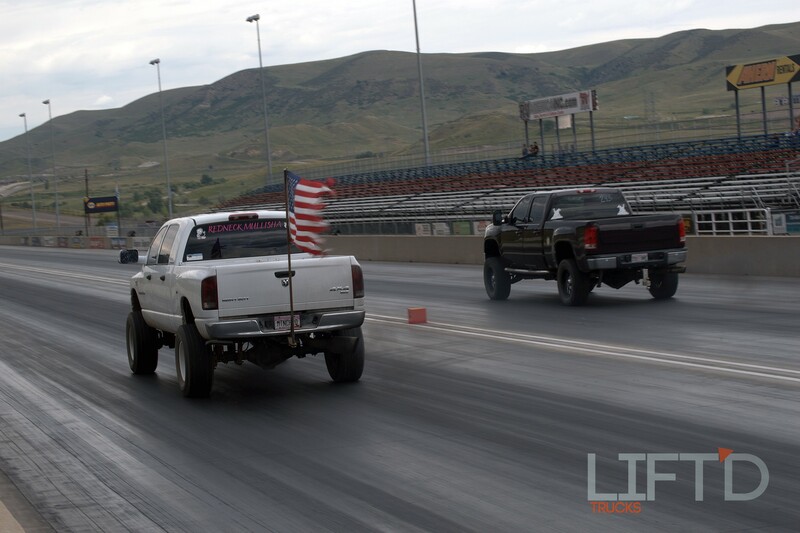 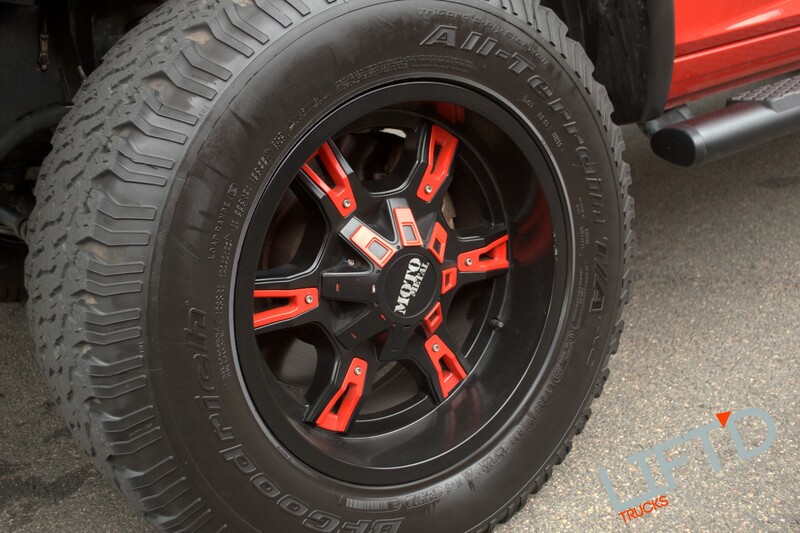 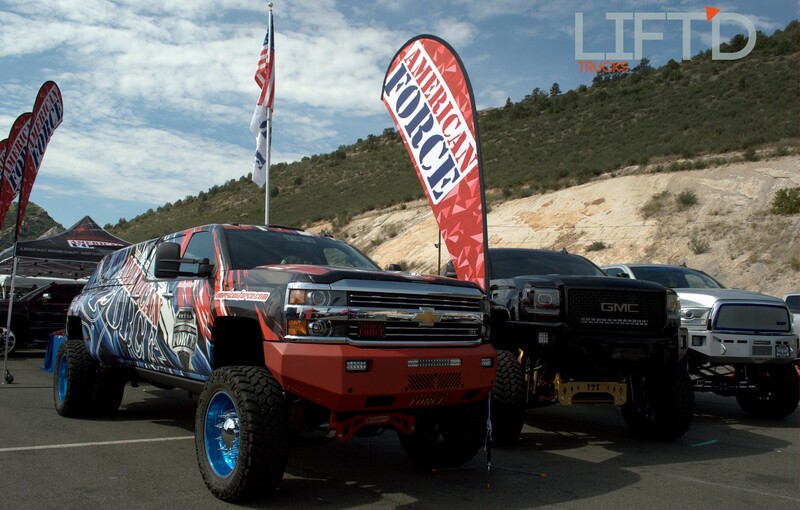 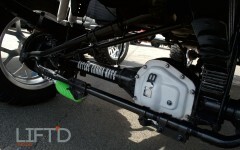 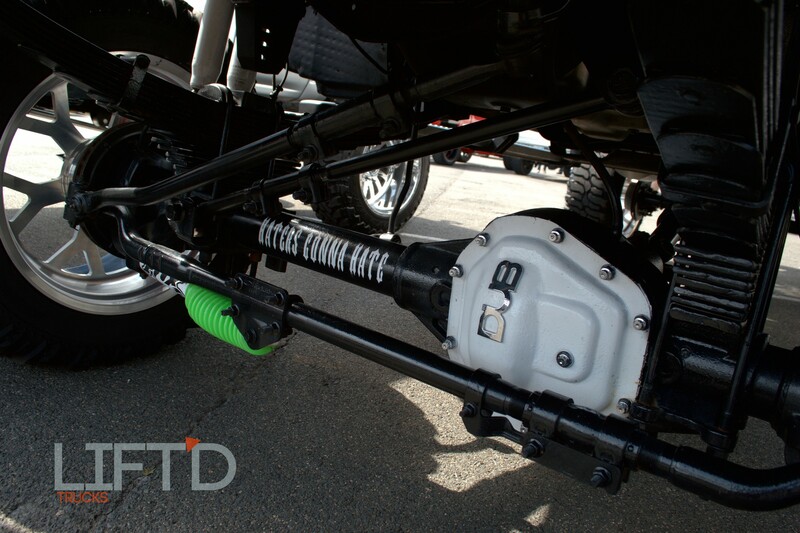 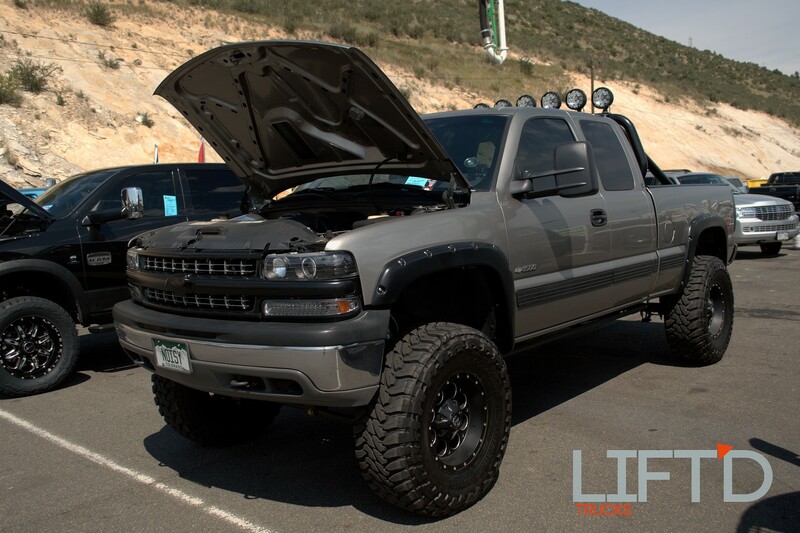 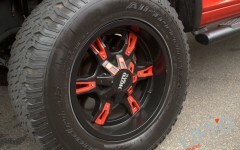 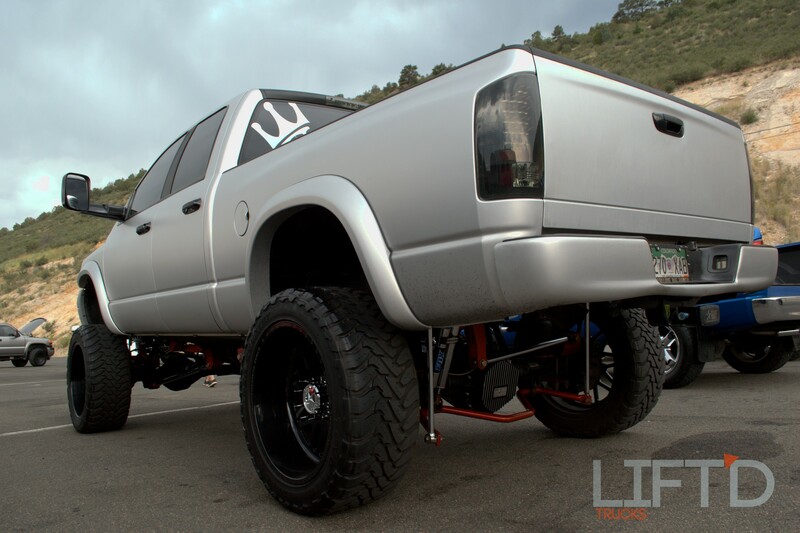 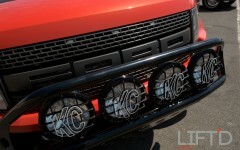 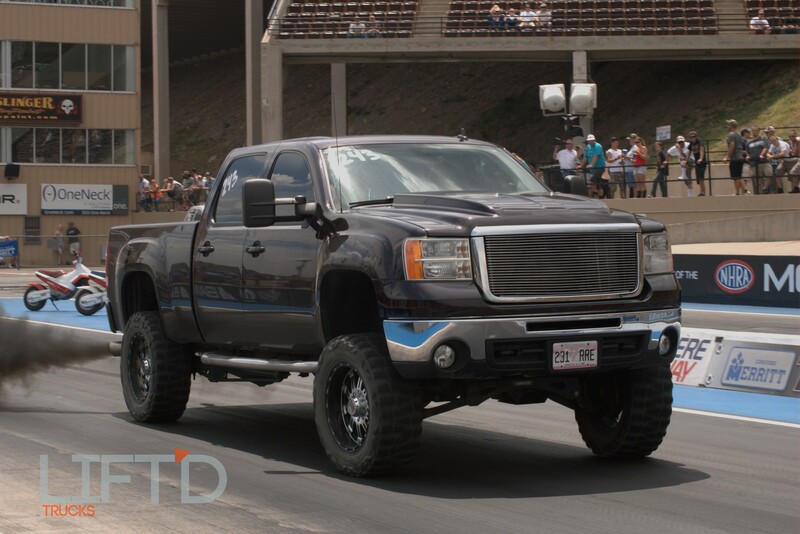 If fully custom show trucks are more your speed, Truck Fest also offers plenty of those as well, ranging from Slam’d custom trucks to some of the best lifted builds we’ve seen this side of the Rocky Mountains. 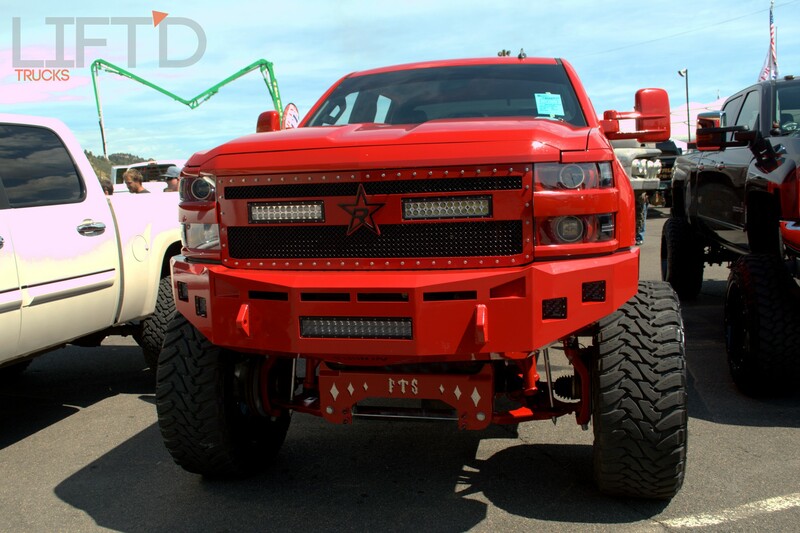 Just when you think you’ve seen it all, there is yet another row of trucks that are bigger, badder and even better than the previous. 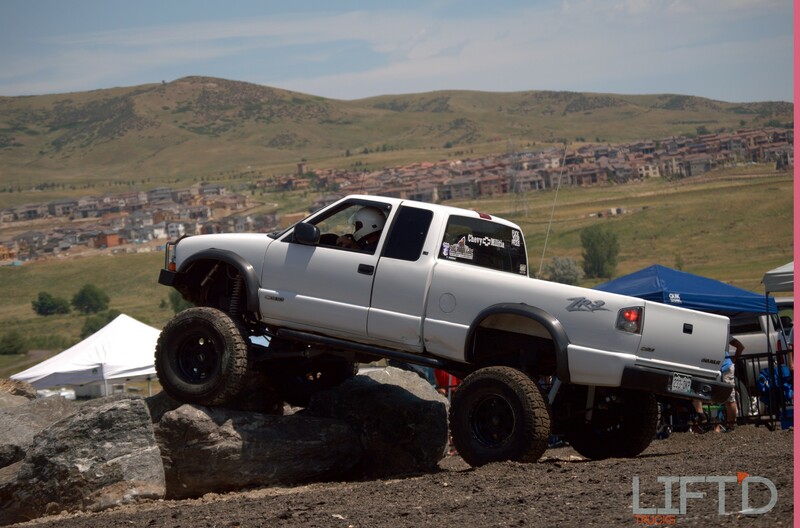 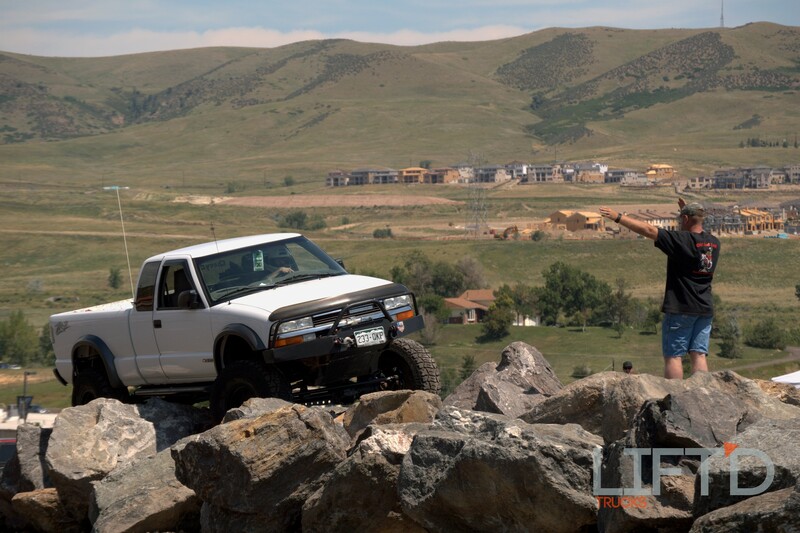 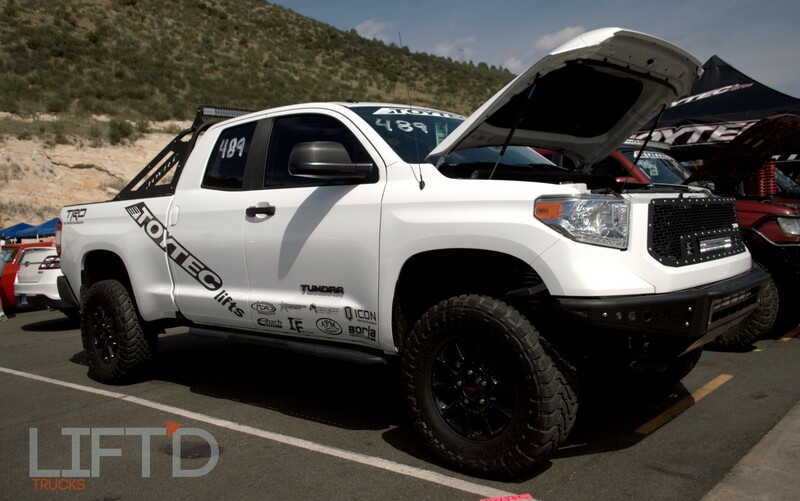 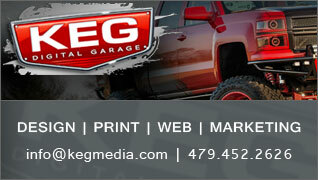 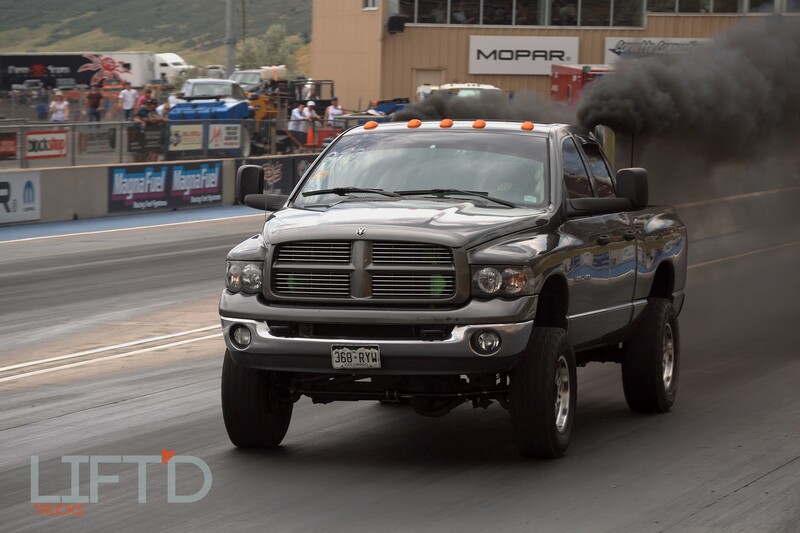 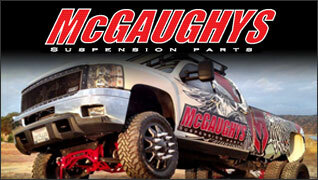 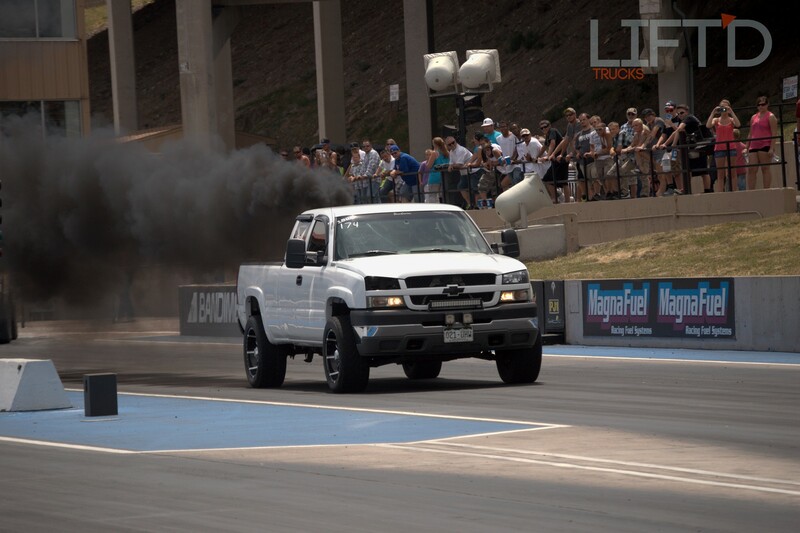 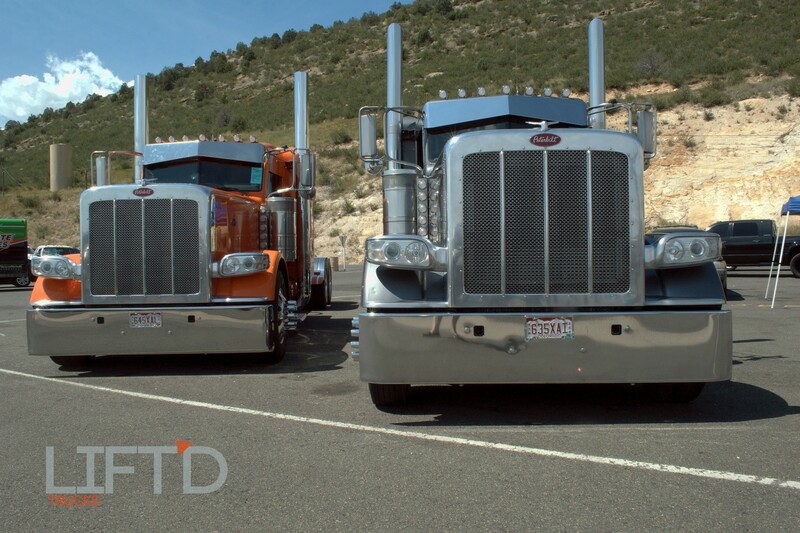 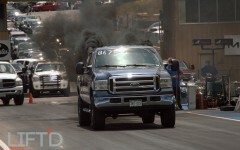 With a presenting sponsor like Five-R Trucks and other event sponsors like 4 Wheel Parts, ATS Diesel Performance, Rocky Mountain Mobile Truck Service and the Colorado Motor Carriers Association, nothing in the realm of performance trucks is out of the question. 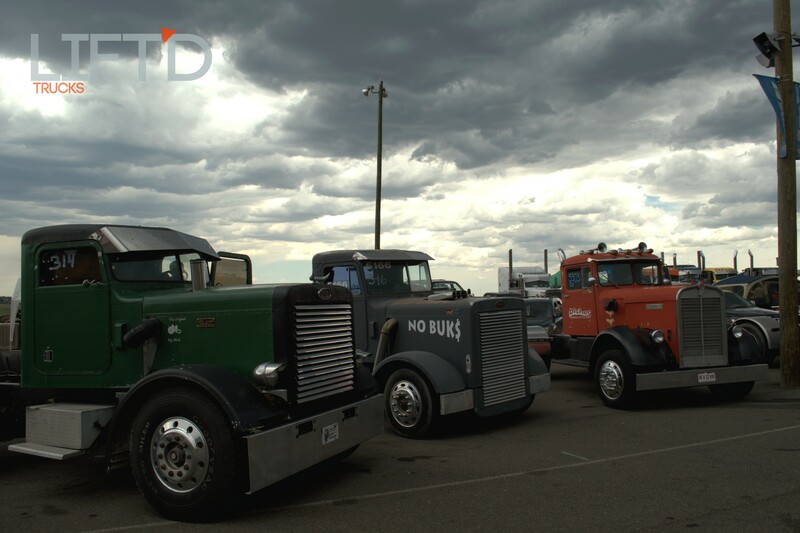 Among the most popular trucks on display were undoubtedly some of the most deluxe big rigs and diesels we’ve ever seen all in one place. 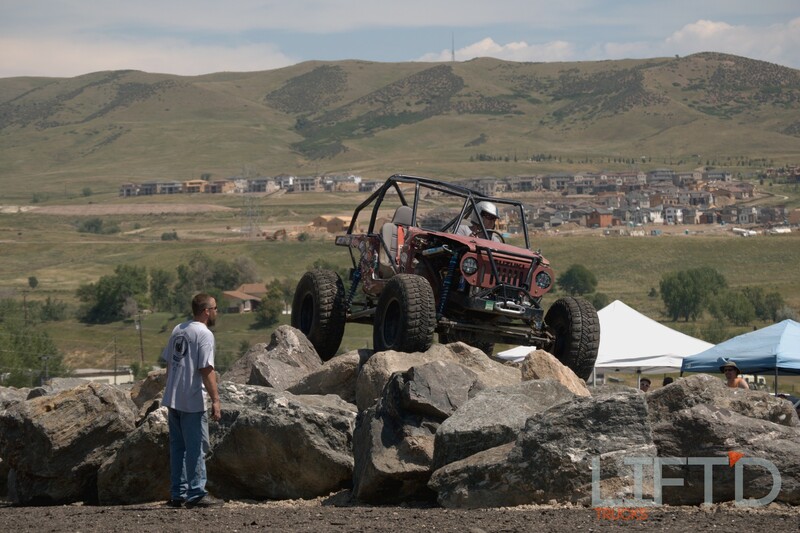 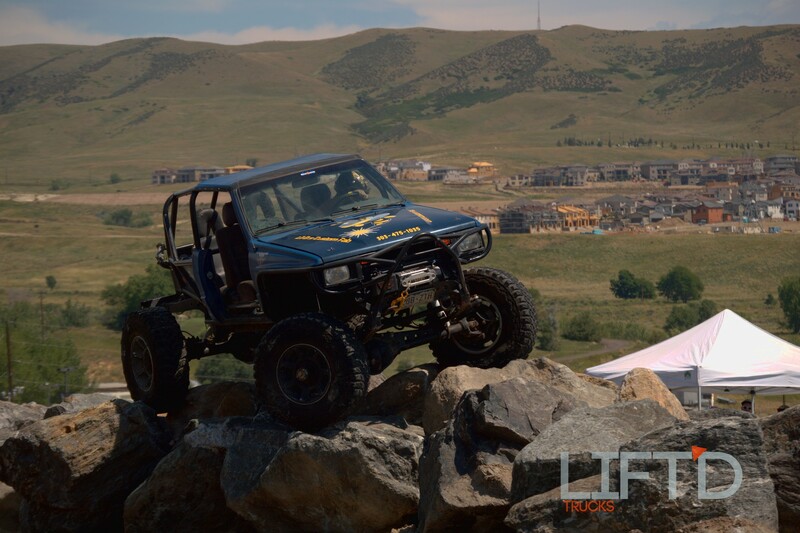 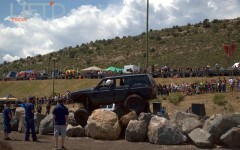 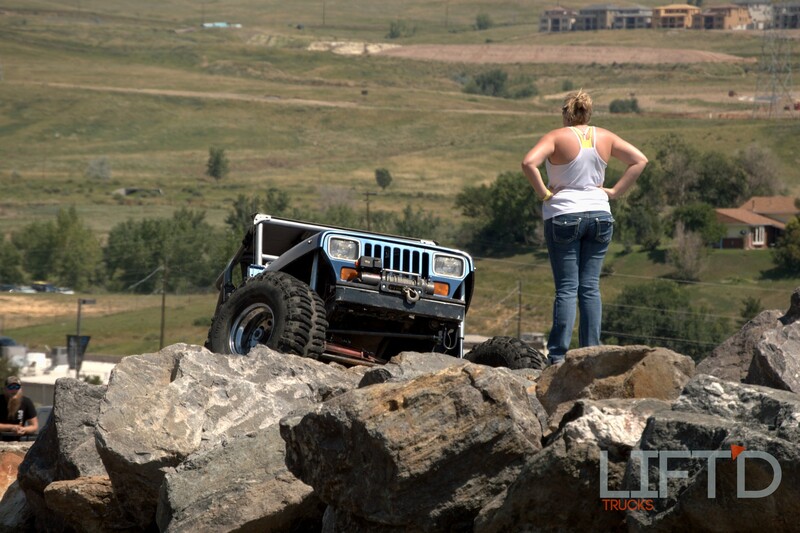 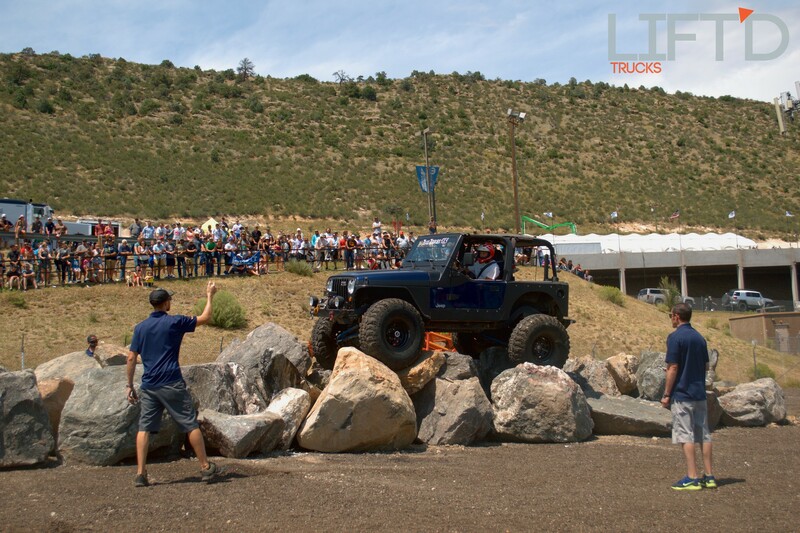 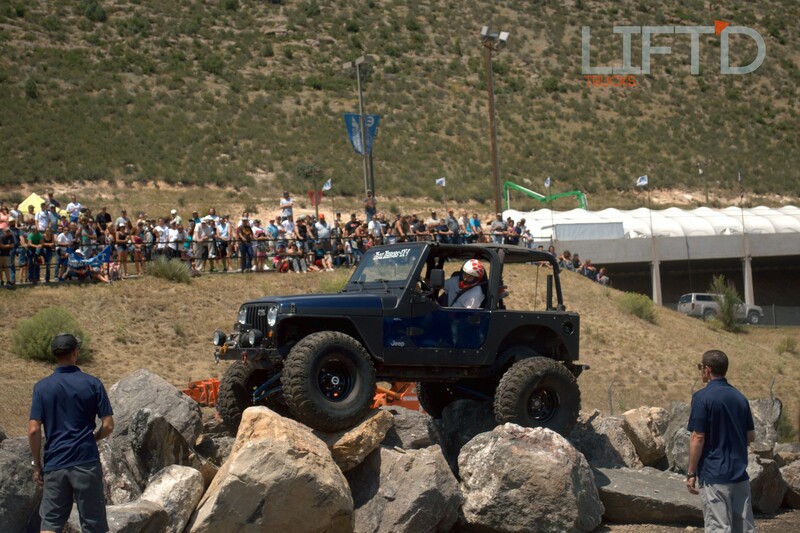 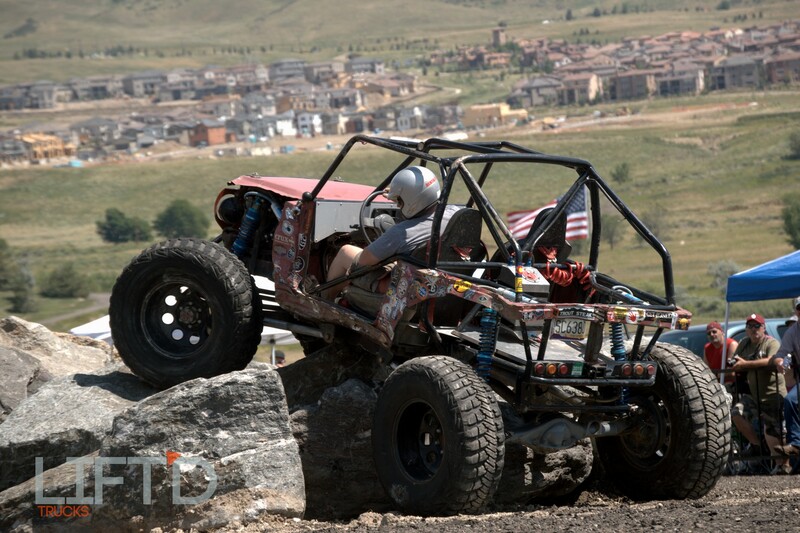 Another incredibly popular area of the show was the rock crawling competition presented by 4 Wheel Parts. 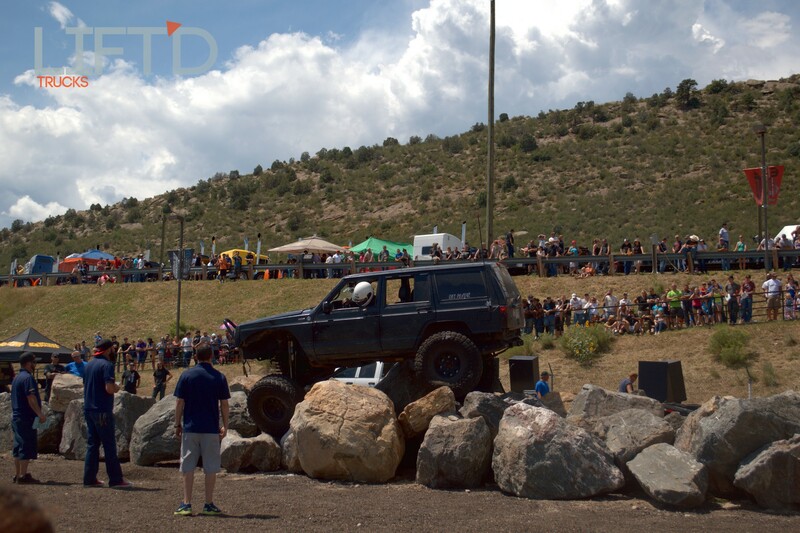 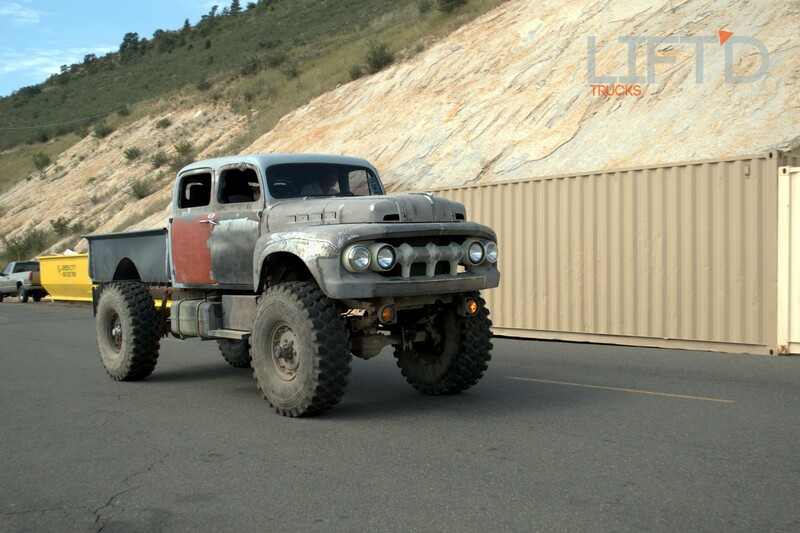 For this, the off-road giant trucked in massive boulders for competitors to play on, with each participant trying to make it from one end of the rock pile to the other and then back again in the shortest amount of time. 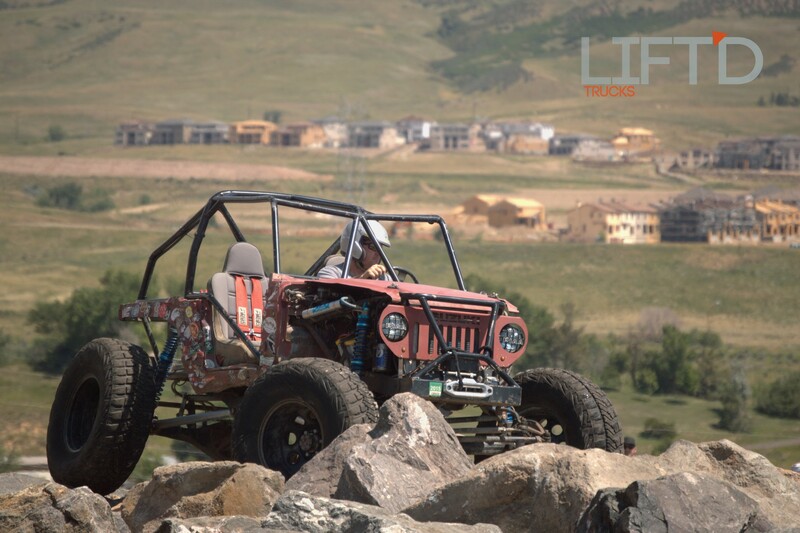 Just about every kind of off-road rig imaginable took on the feat, some flying right through the unique “course” in less than a minute like there was nothing to it, with others taking their sweet time to throw down times of four and five minutes. 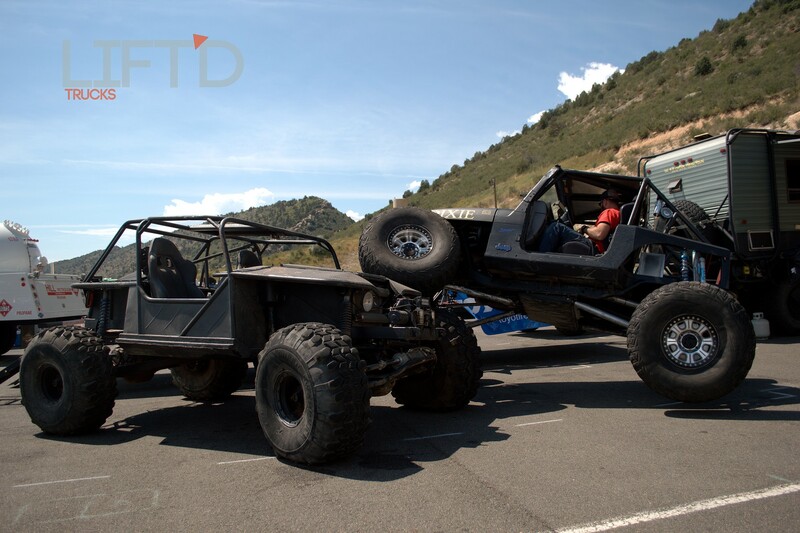 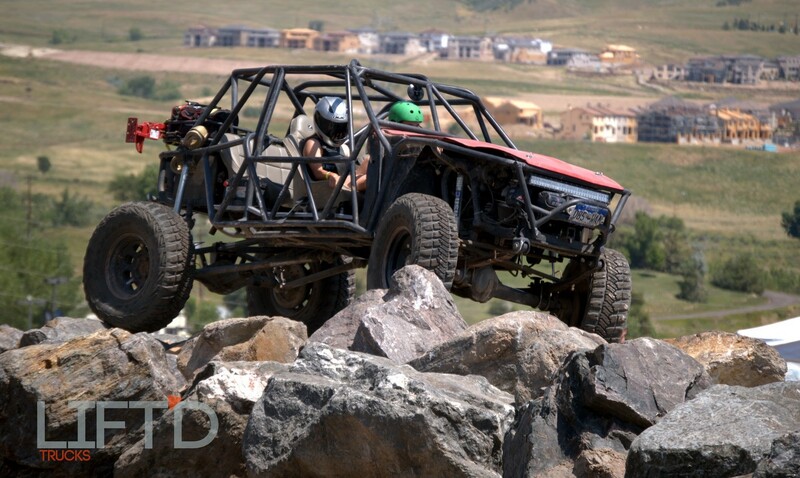 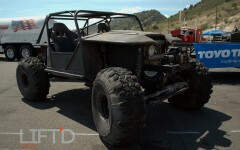 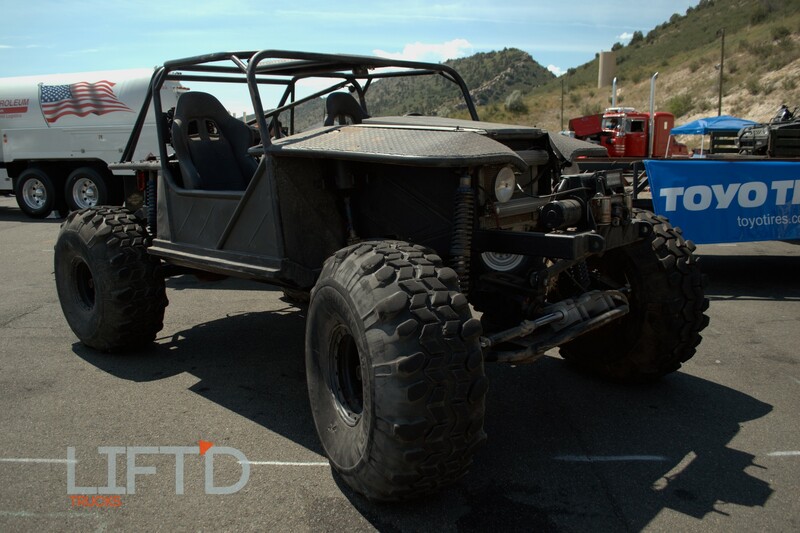 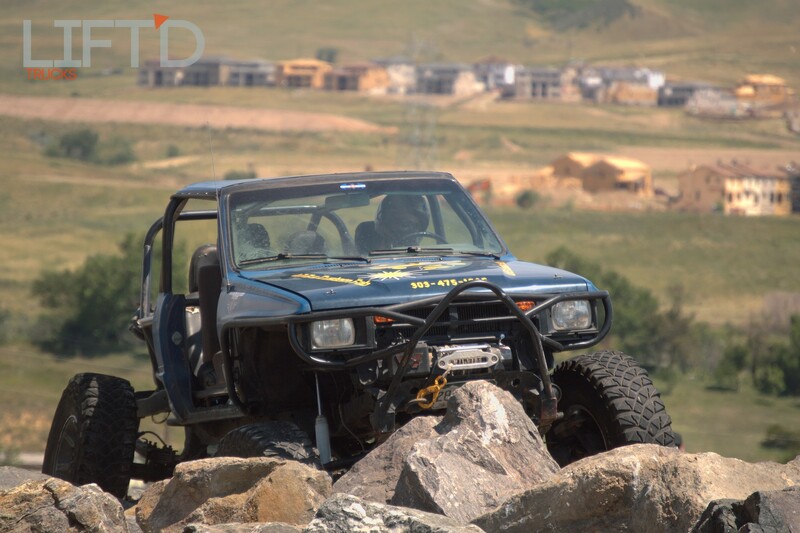 Regardless of the average crawl times, there were plenty of broken suspension components, popped tires and roll-overs to deal with in a short amount of time – proving that this was indeed a challenging course. When all was said and done, dozens of show trucks went home sporting awards like Best Paint, Best Graphics, Best Interior, Best Engine and Best 4WD suspension. 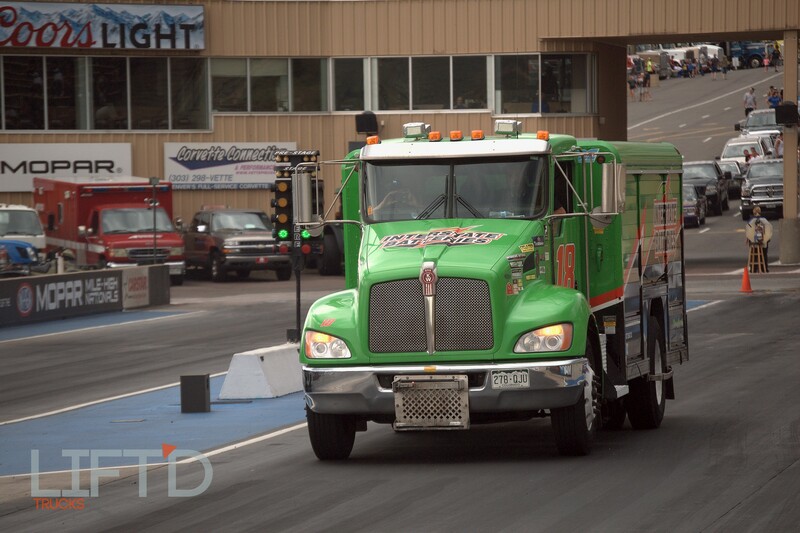 The majority of the show trucks then moved from the area, leaving the track swarming with drag racers and fans alike until well into the night! 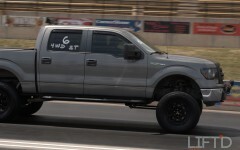 If you haven’t attended Truck Fest, it’s certainly one to see, especially if you’re after the unique, unusual, and somewhat crazy builds that the truck scene can bring. 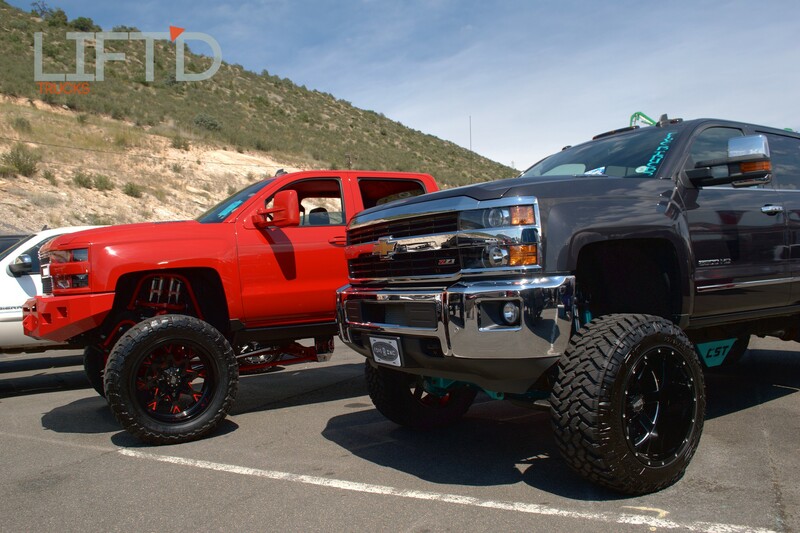 Mark you calendars and make sure to prep your rigs as we’ll definitely be back once again to bring you exclusive coverage the way only Lift’d Trucks can – with both quality AND speed, see you there!